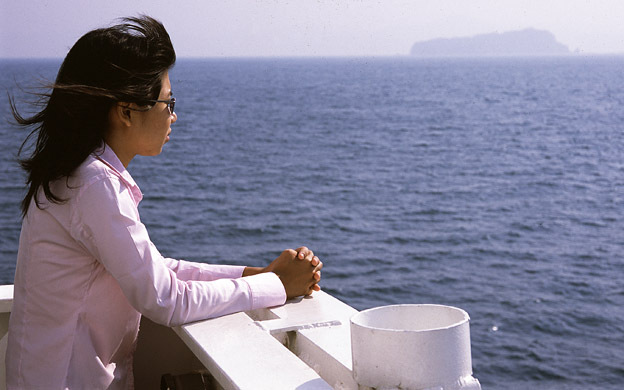 For many people the ship to Kawthaung and the coastal cities and islands are the only connection to the very south of the country. Although there are several airplanes from Kawthaung airport every day but most people can't afford them. On top of it what to do when coming from a remote island in the archipelago. The Myanmar government hasn't managed even until now to build a road from the biggest city to the south end. There is a land link until Myeik but after it's a better dirt trek which finally means it's the coastal cruiser the to do the trip but that takes long time and is very cumbersome although sometimes a great steamer cruising. I am not wondering why many minorities in the country still having problems with the central government which grab the assets of Burma but neglecting the people. There are many things going on in the southern part but all is hidden and run by cronies of the old generals. Actually there is only one operation in this area which is visible that's the production of cultured pearl. The interesting part starts after we anchor at Myeik harbor. They are taking some foodstuff for the kitchen and a lengthy moving freight in and out is going on. The scene somehow remains to Joseph Conrads books about the Congo more than hundred years ago and to the descriptions of the places by Maurice Collis in "Siamese White". This was Thai territory before the English got it under control and subsequently integrated it into Burma and British India, you can buy the book in a ebook version here. 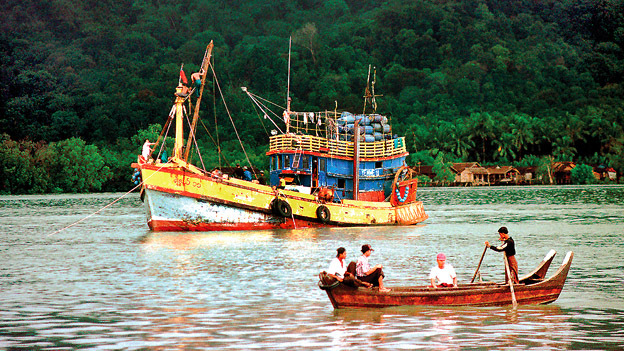 The Andaman Sea still has very rich fishing grounds. Thai fishermen buy licenses to catch the "seafood" here and try all kind of tricks to nose the Myanmar's so that they can get more out of it. Until about 2 decades they also did dynamite and poison fishing they really try everything to cheat the other. There have been several conflicts after the government stopped them fishing, this people wont obey any rule, any agreement, contract or whatever it's only a endless cheat, they do this with everything and everywhere.